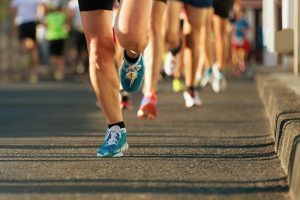 It’s triathlon season and across the country people of all ages and abilities are donning wetsuits, checking tyre pressures and learning how to cope with the transition from cycling to running. Over the next three blog articles we will look at triathlon, its benefits, training programmes that you can do in the gym and how to improve your triathlon performances. The beauty of the activity is that anyone can do it. Where triathlon used to be the preserve of the elite and the insane, it is now an activity for all. From my own experience, the triathlon community is one of the most supportive sporting environments you can find yourself in. The now famous incident at the World Triathlon Series in which Alistair Brownlee stopped just 100 metres from the finish line, depriving himself of the chance to win, to help his dazed brother Jonnie to finish the race is no anomaly in this sport – people really do help each other. The good news is that anyone, of any age, can compete. British Triathlon run events for all age groups and, if you find yourself excelling at the sport, there are age categories from 20-24 up to 80+, so you could find yourself in contention for a place on the Great Britain team in your age group. BBC Newscaster Louise Minchin is one person who came to the sport late and is now totally addicted. Minchin was invited to have a go at cycling in the build-up to the London 2012 Olympic Games. She enjoyed it so much that a friend suggested she gives triathlon a go. Six years later, at the age of 46, she is representing Great Britain in her age group. She tells her story in a book: Dare to Tri. The beauty of the sport is the variety it offers. Swimming, cycling and running all use different muscle groups, so you are less likely to suffer injuries from repetitive strain as you may if you are solely concentrating on one activity. You get a whole body workout – swimming strengthens your upper body, cycling and running help build lower body strength. The combination of three activities will help you burn huge amounts of fat from all areas of your body, leading to a leaner, fitter you. The combination of running, swimming and cycling will help lower blood pressure, prevent obesity and cardiovascular disease and give you higher energy levels. The super sprint distance is the shortest type of triathlon. It’s extremely fast and furious, with the whole race going by in a blur for the top athletes. Honing your transition to be as quick as possible is important due to the shortness of the race. Best for: Those with a background in high intensity sports. Sprint distance is the starting point for a lot of people looking to get into triathlon. 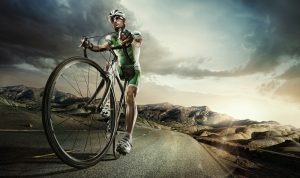 Though still fast, sprint triathlons need more endurance strength than super sprint and give fast cyclists the chance to build a lead. Best for: Beginners wanting to dip their toes in triathlon. Standard or Olympic distance events are the classic triathlon length. These races require a mixture of efficiency, power and endurance along with the mental strength to get through the 10k run at the end. Best for: Experienced swimmers, runners and cyclists wanting a new challenge.